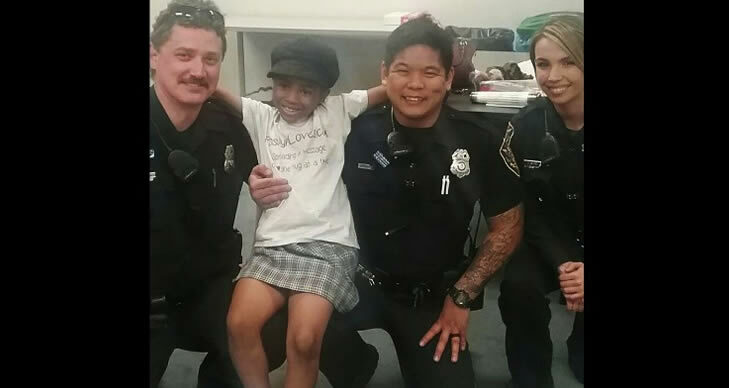 “I’m here to hug the police officers.” These were the words of seven-year-old Rosalyn Baldwin as she explains her mission across the 50 American states. 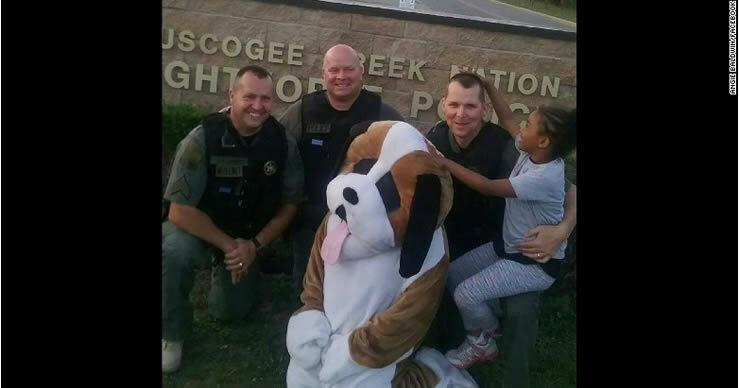 The scene was filled with over 50 policemen assembled to receive the seven-year-old. Rosalyn walked through a swarm of reporters, occasionally hugging one by accident, before finding her intended targets. To the pretty girl, that was her way of comforting the police whom she perceived to have been very nice to the people but in return have been treated unjustly. Reports gathered shows that the girl’s statement was as a result of a warm weekend in which six people were killed and at least 37 others were wounded in shootings across the city. As Rosalyn was unable to hug mounted officers on their horses, she blew them kisses. 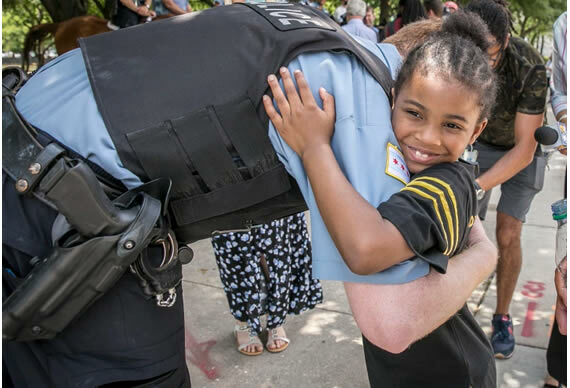 No doubt that this little beauty melted the heart of the police, as one of the officers who spoke couldn’t hide his joy. Angie Baldwin, the girl’s mother, said Rosalyn began asking to go around the country to hug cops after she learned that six officers had been shot in Baton Rouge last year — three fatally — and saw protests against police roil parts of the country. “She’d tell me, ‘Just because there’s one bad apple in the bunch doesn’t mean the whole bunch needs to be thrown out,” Baldwin recalled. 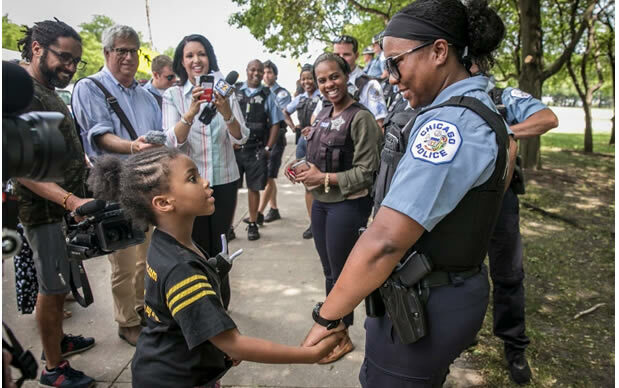 “She said, ‘Momma, I prayed and God told me I need to hug all the officers. “I have to practise what I preach,” she said. Rosalyn is one of four siblings. Her father, a pastor, could not make the journey and is back home in Hammond, Los Angeles. The trips around the country, partially funded by a GoFundMe campaign, are taking up such a large chunk of Rosalyn’s time that her mother is considering home schooling her.